We need more main characters in Paranormal/SFF with disabilities! It's taken me some serious time and thought to write this review. When addressing main characters with disabilities, I make sure to research the disability in question, just to make sure Im not praising problematic tropes when it comes to characters with disabilities. 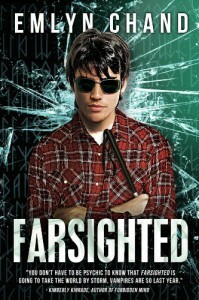 "Farsighted" followed the exploits of Alex Kosmitoras, a teenage boy with a disability(he's blind) who finds out he is "Gifted" or a human being with a supernatural ability. There was so few wrong with this book, that you won't hear a lot of faults with my review, but there were a few things I didn't connect with, but they were fairly minor. I found that the pacing was good for the novel's length and narrator. There was a good amount of action vs interaction, and revealing info at appropriate times. One of the interesting things about the world building for me, was that the story painted Alex's disability well. Throughout much of the book, I felt what it was like to be Alex, and what it was like to be physically blind. I assume not all individuals with disabilities have the same ways they enter the world everyday, especially with people who have abled privilege, but there wasn't a chapter with Alex in it, that didn't paint how he saw the world without his eyes. Alex is one of my new book boyfriends ^_^ Book boys tend to be a bit "extra" for me, but Alex is painted as realistic as a 17 year old boy can be. He likes girls, anticipates his first kiss, doesn't always get along with his dad, and feels it when his parents struggle financially. This is how teenage boys should be in books. I think the thought of a hopeless romantic is nice, but I think in real life, even your dream guy can get on your nerves and have flaws. It was nice to see he isn't drawn to be anything but Alex. Alex also struggled with his ability, which was premonition. Sometimes he would see things that happened, but wasn't sure when they'd happen, of even if they'd happen, which made it difficult for him understand what the foresight meant. I liked that, but I think it was my main issue with the book, which I'll touch further on during the diversity section. I wish I could talk about the editing in the book, but because it's so top notch, there isn't really anything to say about it. The formatting is done well, the graphics are amazing, the POV is clear most of the time(with exceptions for when he's deciphering premonitions) and the developmental editing is superb. My hat tips to the editor of this book. Now the diversity. The diversity is both amazing, and somewhat problematic. The major thing I liked about the diversity is, where a sea full of trios often consist of two boys and one girl(e.i. Harry Potter)the three-legged tag team consisted of Alex a teenage boy with a disability, Shapri and Simmi, who were both women of color. Each character is written with a type of depth that they deserve, but what I will say about Alex, is that his ability centers around his disability. He's blind so he can see with a different set of eyes? I think that's cool, but for fans of Avatar: The Last Airbender, Toph was rather similar. She's extremely well written, and doesn't see her disability as a disadvantage, and perhaps even with her faults, is the best representation of a character with a disability, she's still a character who's ability is centered on her disability. But I find that outside of that, many of these characters being represented, and well at that, would raise the self esteem of anyone reading it. 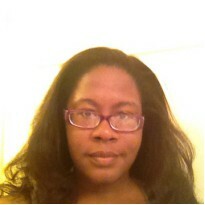 Simmi was originally from India, and plus sized. Alex based people based on their smells, and he loved the way Simmi smelled, which is a breath of fresh air. Too many books focus on looks and nothing else, and it seemed so genuine, especially because Alex saw her, even though he couldn't see her. Shapri, wasn't as big a character as Simmi, but I predict bigger things for Shapri in the future, especially with all the tension between Alex and her. Character names, I liked them. They're unique enough for me, or at the very least fit the characters, Descriptions of characters are difficult. I imagined how each character looked(especially because I peaked at future covers) but take in mind Alex is blind. He described people by their smells, and not their physical appearances.